Image is everything, especially in the world of publishing and digital media. In order to get the attention of your audience, you need to come up with eye-catching designs and graphics. Professional designers acknowledge that using the right tools will get the job done and one of the latest tools available is the Adobe Creative Suite 6. The Adobe CS 6, the latest offering of Adobe, is a collection of web development, video editing and graphic design applications used by both amateur and professional designers. The CS 6 still contains the design, editing and development that designers know well and love but with additional features. It is made available in four varying Creative Suites: Design & Web Premium, Design Standard, the Master Collection and Production Premium. 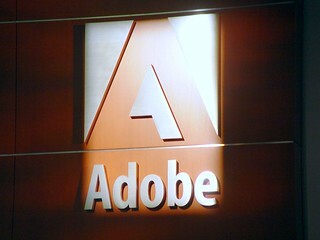 The people behind Adobe initially released a beta version last March 21 and a full version was launched last April 23. It will be available to the public in May. Adobe CS 6 introduces the Creative Cloud for the first time. It makes the numerous applications of the CS 6 available for subscription on a monthly basis. It also lets users download and install the entire collection of applications in CS 6 anytime. It utilizes a cloud-based storage that lets users access and share their work with anyone, anywhere. Users will also be able to get the latest upgrades and use the new features immediately after its release. With this, you can share your files with your clients and colleagues wherever you are. This is also ideal for people in the digital publishing business because it also allows you to publish your website with the use of Adobe’s hosting services. The Standard Suite is the most basic Creative Suite that Adobe has. This suite has Photoshop, Illustrator, InDesign, Acrobat X Pro, Bridge and Media Encoder. From creating new designs to editing videos, it lets you work faster because of its upgrades and enhancements. Now, it also allows you to optimize your work so that it can be used on different platforms, from print to electronic readers to tablets. Moreover, you can learn its new applications without needing to learn new software. Buying the CS 6: Can I Get A Discount? 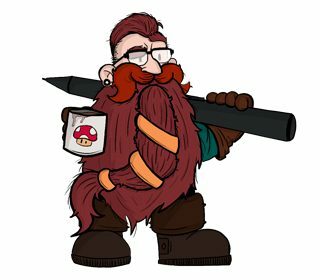 Designers know that whenever Adobe comes out with a new Creative Suite, it always costs an arm and a leg so they are always relying on discounts when buying it. The original practice of the company is it offered a “three-versions-back” policy. This means that if you own an old CS product at most three versions behind the latest CS product, Adobe can give you a discount when you get an upgrade. However, this is no longer the case: you can only get a discount for the new CS 6 if you are upgrading from CS 5 or its later versions. The good news is that Adobe is offering a 20% discount for an upgrade to CS 5 which will make users eligible for discounts when they upgrade to CS 6. There should be room for creativity in business because how else will you come up with radical ideas and innovative designs? According to a research made by Adobe, people lack creativity in the workplace nowadays which is a pity because creativity is needed for economic growth. Perhaps with the latest Creative Suite, employees can now reach their full creative potential. SEO Consultant Robert Kirk wrote this article. He also works as a Graphic Designer. RFK Print Solutions are an internet based printing company in the UK who specialize in high quality cheap business cards online and also leaflets, letterheads, posters and booklets.